Many hot springs and beautiful natural landscapes are in Ardabil and around which attract tourists. The mineral springs of Ardabil (Beele-Darreh, Sar’eyn, Sardabeh and Booshloo) are notable throughout Iran for their medicinal qualities. 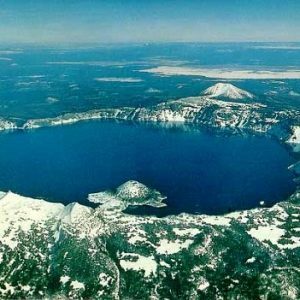 Many beautiful lakes: the largest of which are Ne’or, Shorabil, ShoorGel, NouShahr and Aloocheh that are the habitats of some species of water birds. 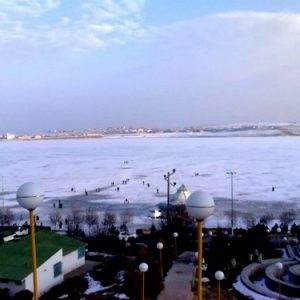 The beautiful Lake Ne’or is located in a mountainous area 48 km south-east of the city of Ardabil it covers an area of 2.1 km² and has an average depth of 3 metres it is fed by springs in the lake bed. 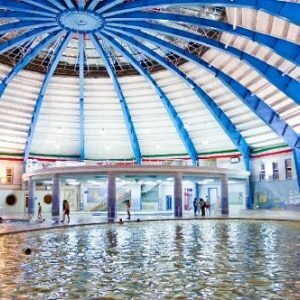 Due to its geological position, Ardabil Province is home to many thermal and mineral springs, which are among the most important and popular ones in Iran and are mostly used for therapeutic purposes. Furthermore, there are some really proper slopes for skiing with a lot of snow even in near-summer; along with a very beautiful and useful ski place named “Alvares” within an hour’s drive from Sareyn to the Sabalan South ridge. Being a city of great antiquity the origins of Ardabil goes back 4000 to 6000 years (according to historical research in this city) this city was the capital of Azerbaijan province in different times, but its golden age was in the Safavid period. Sabalan mountain (The wonder peak) is Iran’s second highest mountain peak, located in Azerbaijan province. A mountain higher than Mont- Blanc in the Alps, with many lakes and a volcanic crater which contain acidic water, almost 4860 meters above the sea level. At a height of 3600 meters on the slopes of the mountain, there flow the mineral water springs. There have emerged gigantic sculpture statues, as a result of volcanic stone erosion, which resemble various creatures including animals, birds, insects etc… the most beautiful one of which is an eagle sculpture, as though it is maintaining control over the Sabalan slope and valley from a top. There are also more than 23 renowned hot mineral water springs mostly in the out skirts of the great Sabalan Mountain and it has a good effect on locomotor, rheumatic, gynaecological disorders and therapeutic purposes. The mountain enjoys specific attractions in various seasons of the year, where, a mountain climber feels he has entered a land of dreams and wonders. The complex of Sheikh Safi-ad-din Ardabili is a World Heritage Site, comprising the following components: the mausoleums of Sheikh Safi and Shah Ismail I, Chini khaneh (meaning the house of chinaware), a mosque, Jannat Sara (meaning the house of paradise), Khanaqah (the house of Dervishes), Cheragh Khaneh (the house of lamps), Shahid khaneh (the house of martyrs) and Chelleh Khaneh (the place where devotees shut themselves up during the forty days of Lent). 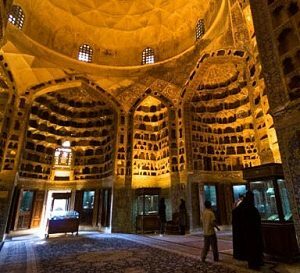 The mausoleum of Sheikh Safi, the dome of which is called “Allah-Allah” has an octagonal interior. The town has a Thermal Bath Complex which meets the highest standards of medicinal tourism, at present it has 9 hot springs, pummel, massage, campsite, boating lake and hiking. The cultural and sport programs of the town attract a lot of visitors from the country. with the area of 150 ha, is located in Ardabil city that is one of the most important attractive areas in National and Regional level that attract thousands of recreationists from other area every year. Elevation of this lake is around 1,360m from sea level annual precipitation in the area is around 350mm and mean annual temperatures range from -15 in January to +26 in July to September. The majority of the recreationists arrive during the month of July to September. The lake attracts 1,600 visitors a day in peak period (summer).